"We first worked with Phoebe as a guest curator on Pot Luck #5 in 2012 (which was a great success). Our shared passion in grass roots initiatives led us to bring her on board as a trainee producer for the next series of Pot Luck events from 2013-14. Pot Luck is a steep and demanding learning curve for any producer and Phoebe not only took it in her stride, she thrived, becoming an integral part of the team. We have seen Phoebe grow into an artist and a producer of integrity and generosity. Her dedication to experimentation is coupled with a strongly empathetic nature and a conviction that art should speak to people. " 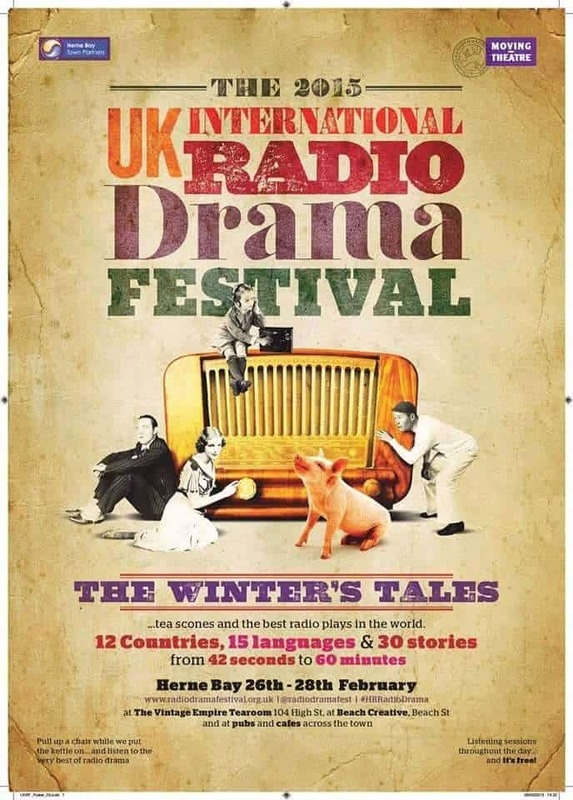 I've just finished working as a project manager on Moving Theatre's Radio Drama Festival- The Winter's Tale in Herne Bay. This was the first of it's kind in the UK attracting entrants from all over the world. The festival was a fantastic success and we're beginning to think about next year!